Besides writing a ton of blog posts about computer vision, image processing, and image search engines, I’ve been behind the scenes, working on a second book. And you may be thinking, hey, didn’t you just finish up Practical Python and OpenCV? Now, don’t get me wrong. The feedback for Practical Python and OpenCV has been amazing. And it’s done exactly what I thought it would — teach developers, programmers, and students just like you the basics of computer vision in a single weekend. Let’s take your knowledge of computer vision and solve some actual, real world problems. I’m happy you asked. Read on and I’ll show you. 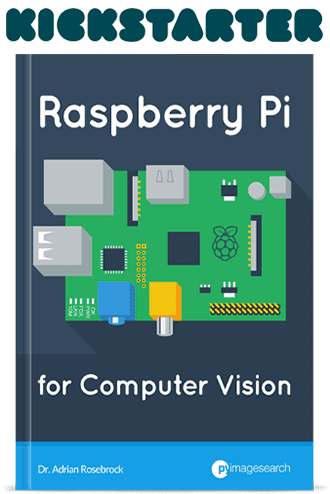 This book covers five main topics related to computer vision in the real world. Check out each one below, along with a screenshot of each. 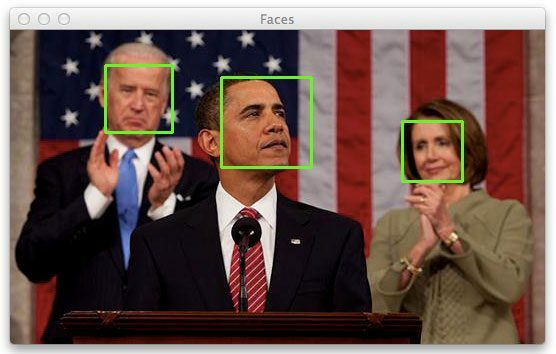 Figure 1: Learn how to use OpenCV and Python to detect faces in images. 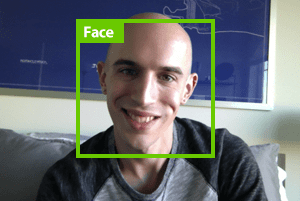 By far, the most requested tutorial of all time on this blog has been “How do I find faces in images?” If you’re interested in face detection and finding faces in images and video, then this book is for you. Figure 2: My Case Studies book will show you how to track objects in video as they move along the screen. Another common question I get asked is “How can I track objects in video?” In this chapter, I discuss how you can use the color of an object to track its trajectory as it moves in the video. Figure 3: Learn how to use HOG and a Linear Support Vector Machine to recognize handwritten text. This is probably my favorite chapter in the entire Case Studies book, simply because it is so practical and useful. Imagine you’re at a bar or pub with a group of friends, when all of a sudden a beautiful stranger comes up to you and hands you their phone number written on a napkin. Do you stuff the napkin in your pocket, hoping you don’t lose it? Do you take out your phone and manually create a new contact? Well you could. Or. You could take a picture of the phone number and have it automatically recognized and stored safely. In this chapter of my Case Studies book, you’ll learn how to use the Histogram of Oriented Gradients (HOG) descriptor and Linear Support Vector Machines to classify digits in an image. Figure 4: Learn how to apply machine learning techniques to classify the species of flowers. A common use of computer vision is to classify the contents of an image. In order to do this, you need to utilize machine learning. 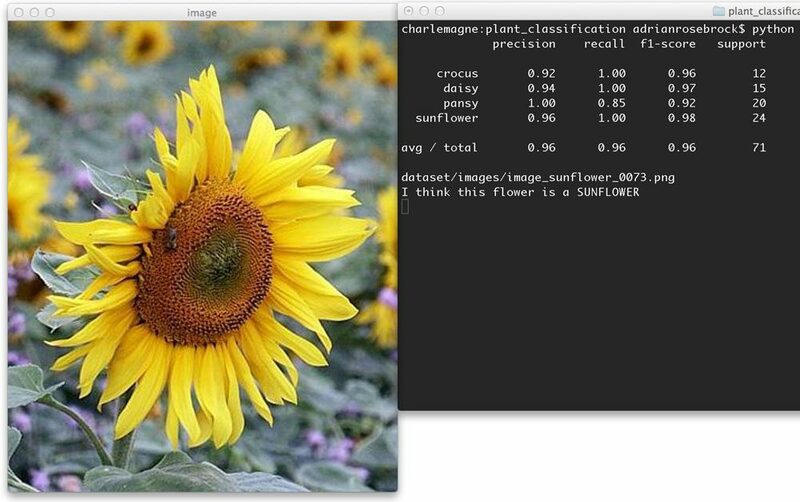 This chapter explores how to extract color histograms using OpenCV and then train a Random Forest Classifier using scikit-learn to classify the species of a flower. 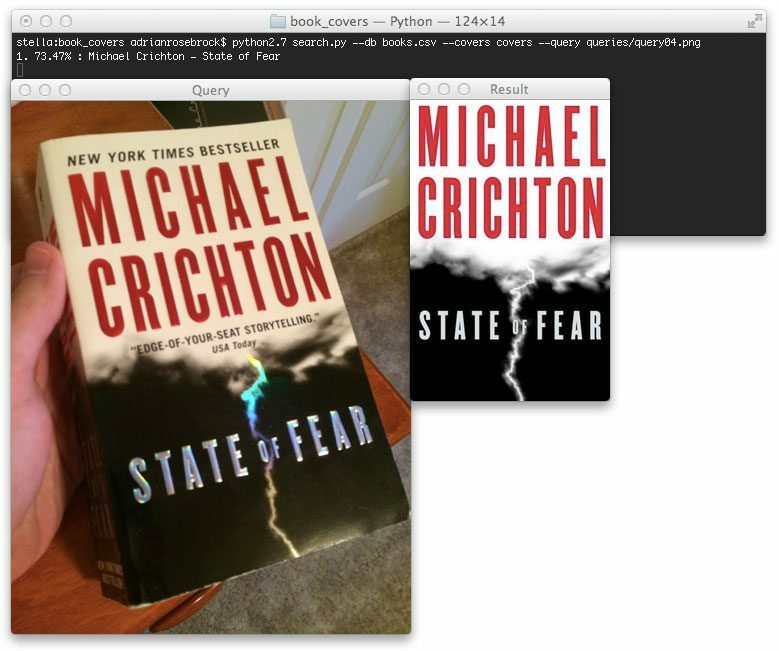 Figure 5: Applying keypoint detection and SIFT descriptors to recognize and identify book covers. Three weeks ago, I went out to have a few beers with my friend Gregory, a hot shot entrepreneur in San Francisco who has been developing a piece of software to instantly recognize and identify book covers — using only an image. Using this piece of software, users could snap a photo of books they were interested in, and then have them automatically added to their cart and shipped to their doorstep — at a substantially cheaper price than your standard Barnes & Noble! Anyway, I guess Gregory had one too many beers, because guess what? Gregory begged me not to tell…but I couldn’t resist. In this chapter you’ll learn how to utilize keypoint extraction and SIFT descriptors to perform keypoint matching. The end result is a system that can recognize and identify the cover of a book in a snap…of your smartphone! All of these examples are covered in detail, from front to back, with lots of code. By the time you finish reading my Case Studies book, you’ll be a pro at solving real world computer vision problems. 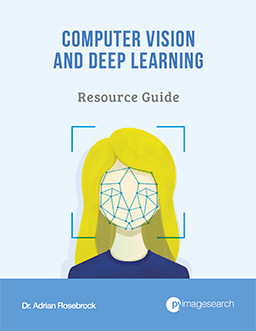 This book is for people like yourself who have a solid foundation of computer vision and image processing. 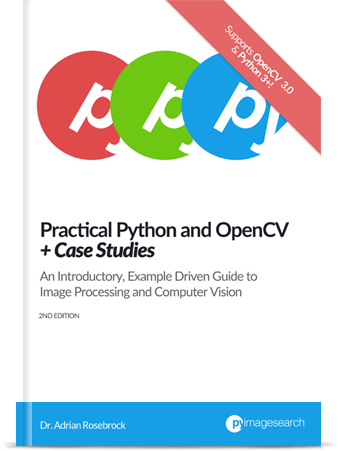 Ideally, you have already read through Practical Python and OpenCV and have a strong grasp on the basics (if you haven’t had a chance to read Practical Python and OpenCV, definitely pick up a copy). I consider my new Case Studies book to be the next logical step in your journey to learn computer vision. 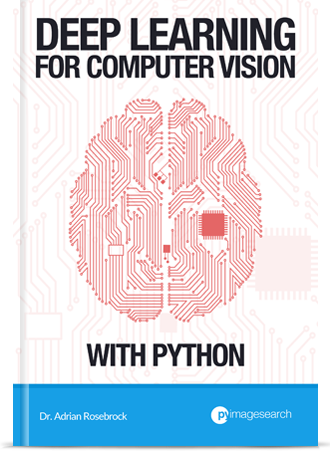 You see, this book focuses on taking the fundamentals of computer vision, and then applying them to solve, actual real-world problems. So if you’re interested in applying computer vision to solve real world problems, you’ll definitely want to pick up a copy. If you signup for my newsletter, I’ll be sending out previews of each chapter so you can get see first hand how you can use computer vision techniques to solve real world problems. But if you simply can’t wait and want to lock-in your spot in line to receive early access to my new Case Studies eBook, just click here. Sign-up now to receive an exclusive pre-release deal when the book launches.